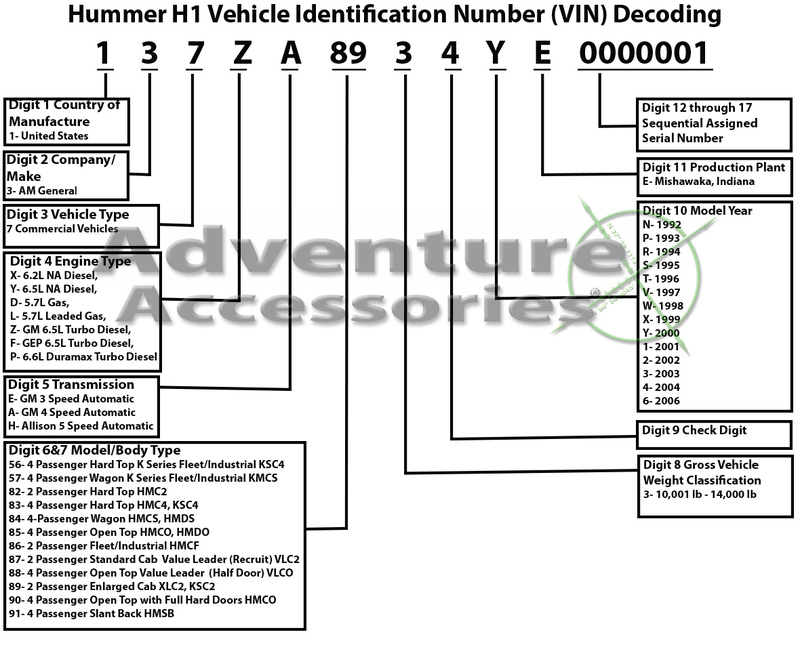 Hummer H1 VIN Decoding ChartHummer Parts and accessories. Hummer H1 and Humvee AM General OEM Parts at the lowest prices. Hummer accessories from Predator, GT and Rubber Duck.